An apartment on the second floor (with use of a lift) in a large residential complex with beautiful sea views in Follonica. Thanks to its central location. An apartment on the second floor (with use of a lift) in a large residential complex with beautiful sea views in Follonica. 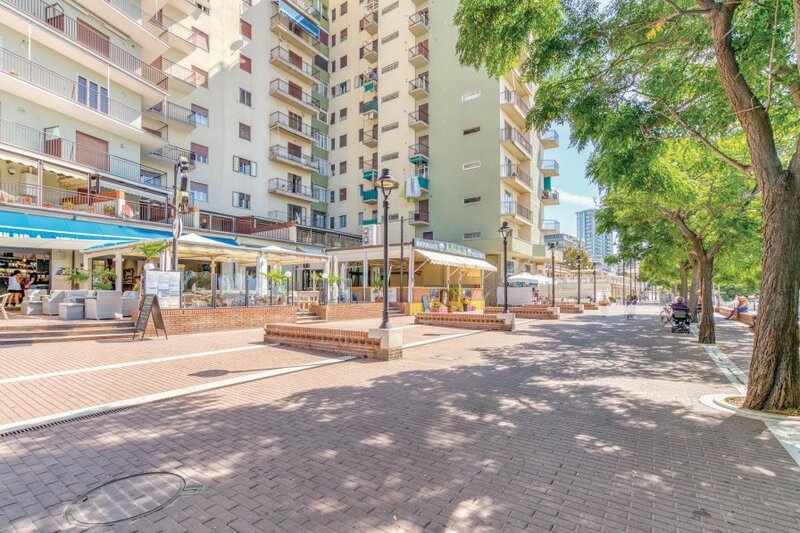 Thanks to its central location, in the pedestrian zone it is possible to reach restaurants, pizzerias, ice cream parlors and bars in just a few minutes. Nearby there is a large pine forest with children's play areas. The apartment enjoys a position where it overlooks the beach. Besides the beautiful beach of Follonica, nearby there are also some of the most beautiful beaches of Tuscany: Cala Violina, Baratti and the beautiful coastline of the island Elba. This solidly constructed modern apartment was built in 1960. The agent has rated it as a three star property so it is a well-kept apartment, equipped with standard furniture. It is also good value for money. This apartment has beautiful panoramic view over water; it is also only 5 metres from Follonica. It is set in a very convenient location, just 10 metres away from a sandy beach. There's also a restaurant only 10 metres away.